DO NOT RENT OR BUY THESE MOVIES UNDER ANY CIRCUMSTANCES!!! That film was great....when i was about 10! I watch maybe 2-5 minutes worth of Gigli and I thought it was a total cheesefest! I did not understand the dialouge at all! I usually like crappy movies (other than those three) though. The Forgotten (recent one with Julianne moore). Oh man. I forgot about that one. What a completely atrocious movie. So incredibly bad, by the end I thought it would turn into some kind of comedy. But it didn't. So all the humor ended up being unintenional. Jim Carrey and Matthew Broderick in "The Cable Guy"
1. I'm totaly glad I saw it on the movie network and didn't actually pay money to see it. 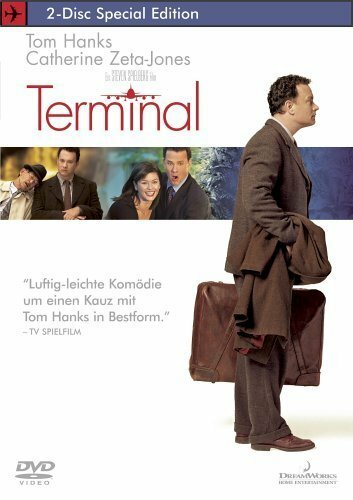 Oh my god!...I can not believe nobody has mentioned "The Terminal"
And to think that it has great actors and Spielberg directed it!!!!! it was pretty boring wasn't it? The Hole was awfull as was Star Wars- Phantom Menace, but the real killer was something i watched on T.V with Hulk Hogan in it, it was so bad.